The video “Innocence of Muslims,” which sparked riots in the Middle East and led to death threats, should not have been banned from YouTube, according to a federal appeals court. The decision represents a victory for advocates for free speech. An 11-judge panel of the Ninth US Circuit Court of Appeals in California sided with Google, which owns YouTube, in their decision on Monday. 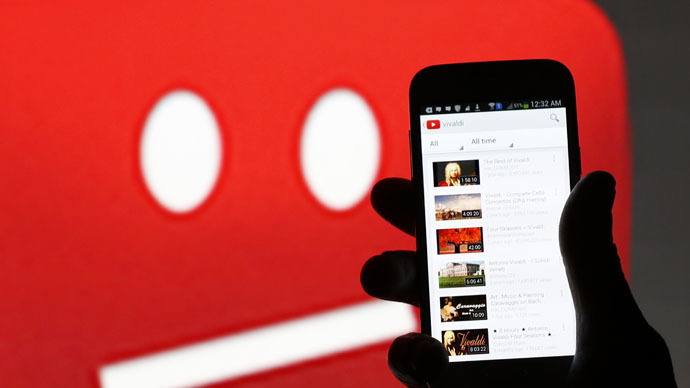 It instructed the lower court to overturn its February decision mandating the removal of the video from YouTube. “In this case, a heartfelt plea for personal protection is juxtaposed with the limits of copyright law and fundamental principles of free speech. The appeal teaches a simple lesson – a weak copyright claim cannot justify censorship in the guise of authorship,” wrote Judge M. Margaret McKeown in the court’s opinion. The case, Garcia v. Google, involved actress Cindy Lee Garcia, who made a copyright claim on the low-budget video. Garcia objected to the use of her performance, which had been partially dubbed for its inclusion in the trailer. Garcia had believed during production that she was appearing in a film called “Desert Warrior,” which was described as a “historic Arabian Desert adventure film.” She was paid $500 for her role in the film. She claims she was unaware that anti-Islamic material would be added in the post-production stage and that her voice was dubbed over in a five-second scene where her character asks if Mohammed was a child molester. Garcia said she received death threats because of her appearance in the video. The video drew the attention of federal prosecutors, who discovered that filmmaker Mark Basseley Youssef used several false names in violation of probation linked to a 2010 check fraud case. He was sent back to prison in 2012 and was released on probation in September 2013. During trial, Google argued Garcia had no claim to the film because the filmmaker wrote the dialogue, managed the production, and dubbed over her lines. The trailer was perceived as denigrating Islam’s Prophet Mohammed. Demonstrations protesting the film turned violent in Egypt and other countries, leading to hundreds of injuries and more than 50 deaths. Fatwas were issued against the video’s participants and a Pakistani minister offered a bounty for the killing of the producer. The film also sparked debates about freedom of speech and internet censorship. In its decision, the court wrote,“Innocence of Muslims may indeed be offensive, but we do not accept political terrorism or even judicial censorship as the answer." The Associated Press, which reported the court’s decision, said it wasn't immediately clear if or when the video would be reposted on YouTube. A Google spokesman did not immediately respond to their email seeking comment.